At the border with the North. 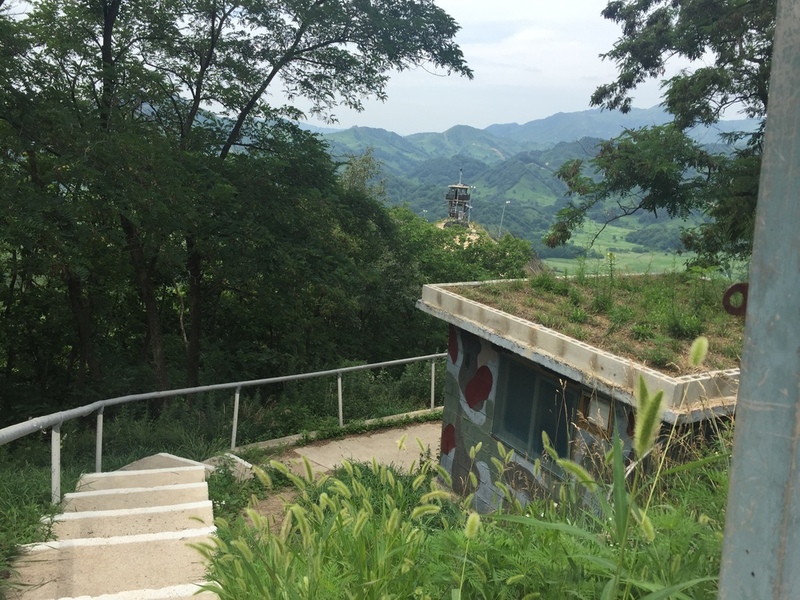 Last week, Laura and I accompanied the Colombian ambassador (of South Korea) to Hwacheon, one of the outposts of the South Korean army and of the Allied forces of Nato in the demilitarized zone. It was pretty intense as you can see below. They even had pictures of holes made by the shells of enemy fire, of the two times (Estimated guess) that soldiers from the other side had targeted them. 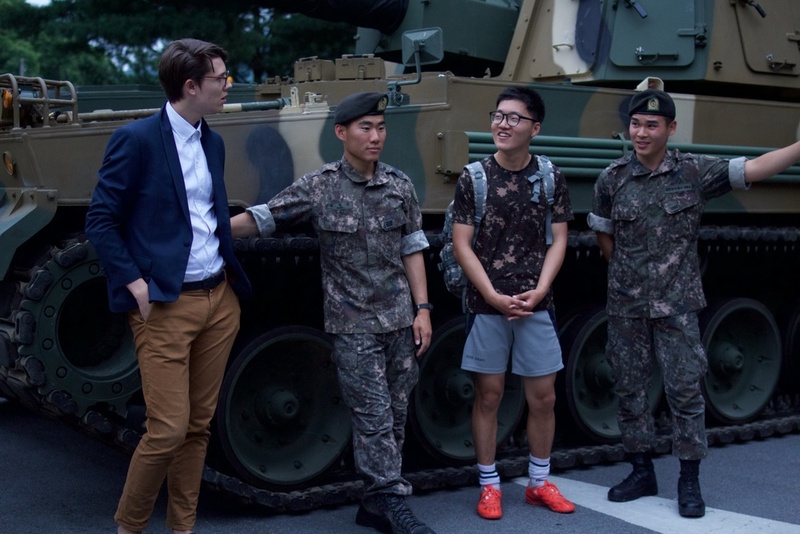 Well I can say the day started being quite patriotic, pro armament and so on but nothing prepared us for what came next (and then again what else would you have expected from a Korean -Colombian gathering by the North Korean border. A soccer game! 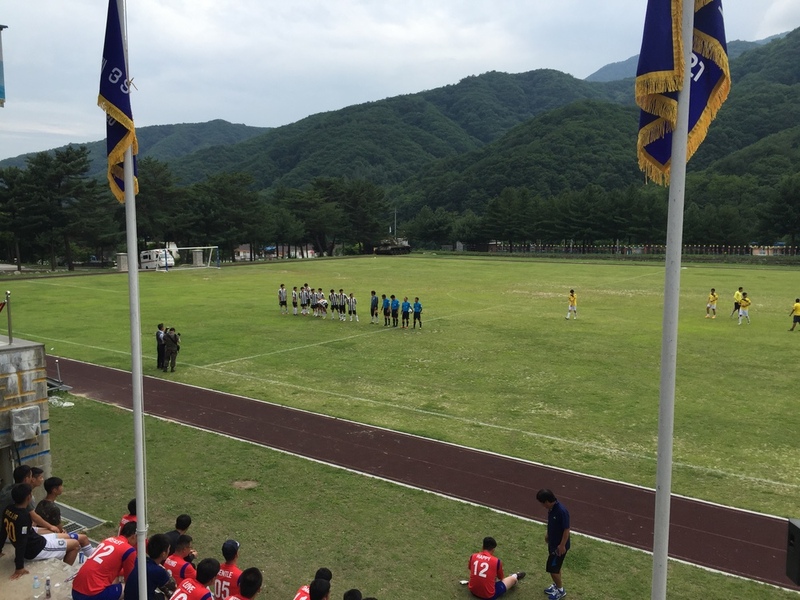 We went to a camp mostly made of recent military recruits and they were supporting their own mini Korean Team against a Colombian soccer team made of the 10 Colombians that are in Korea and can play soccer! See pictures from my partner Laura Katz (@laurakatzzz). I couldn't believe it! The whole stadium was cheering, we watched a friendly soccer game, albeit the tanks positioned on each side of the field. It was incredible to see all this optimism given what they have to deal with only a few kilometers away.